In climbing, the key to a successful ascent is preparation. A climber must be able to rely on a strong body, a calm mind, and reliable equipment. Whether in the gym, or scaling monolithic desert towers, a good climber is always ready for changing conditions, carrying the supplies to keep them safe, secure, and energized. Inside their bags, climbers must be able to rely on their shoes, harnesses, ropes, devices, and their support gear to ensure a safe and successful ascent. Here are the top five items that climbers should always carry. A good harness serves two main functions. It keeps the climber attached to the rope, and it gives them comfortable support on long routes. When choosing a harness, it is important to take into consideration what it will be intended for. 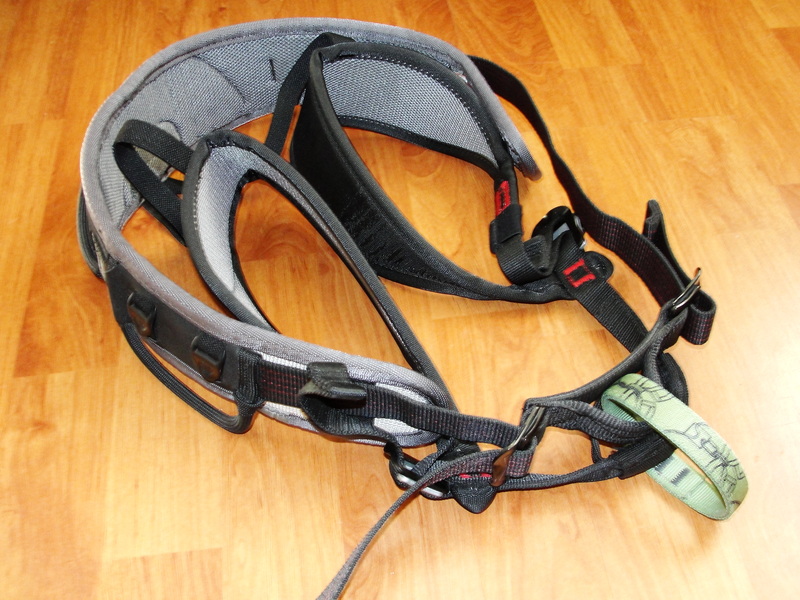 An indoor gym harness is lightweight, held together with a single buckle for quick removal, and minimizes or eliminates features such as gear racks for quick, efficient ascents. 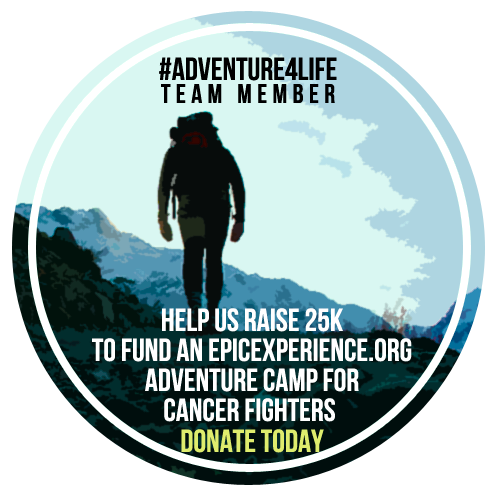 An outdoor harness adds gear racks for storing additional gear and protection devices, thick padding to support the spine on long climbs, and an adjustable leg loop to compensate for thicker clothing at higher altitudes. 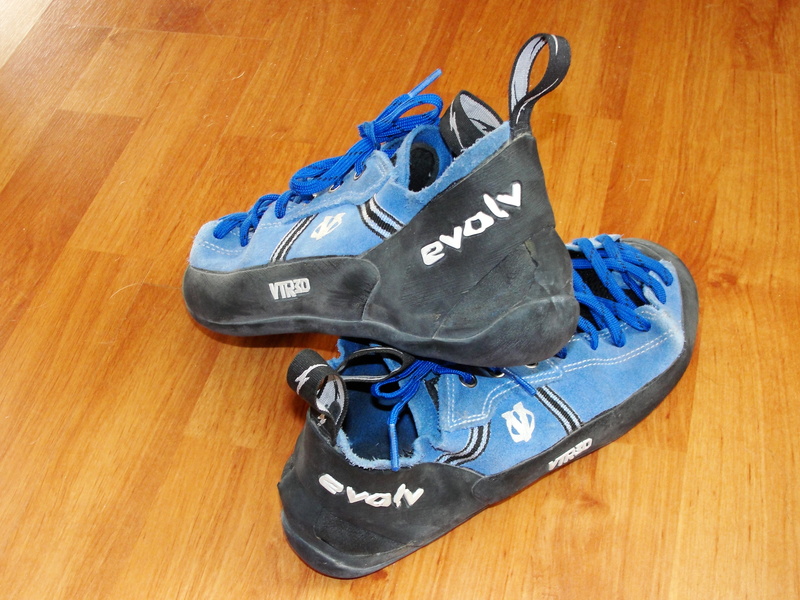 Climbing shoes are built to help the climber maintain a firm grip on the wall. As with the harnesses, shoes are meant to adapt to different locations and situations. For gym climbers and boulderers, a smart choice is a shoe that can be taken on and off quickly between climbs. 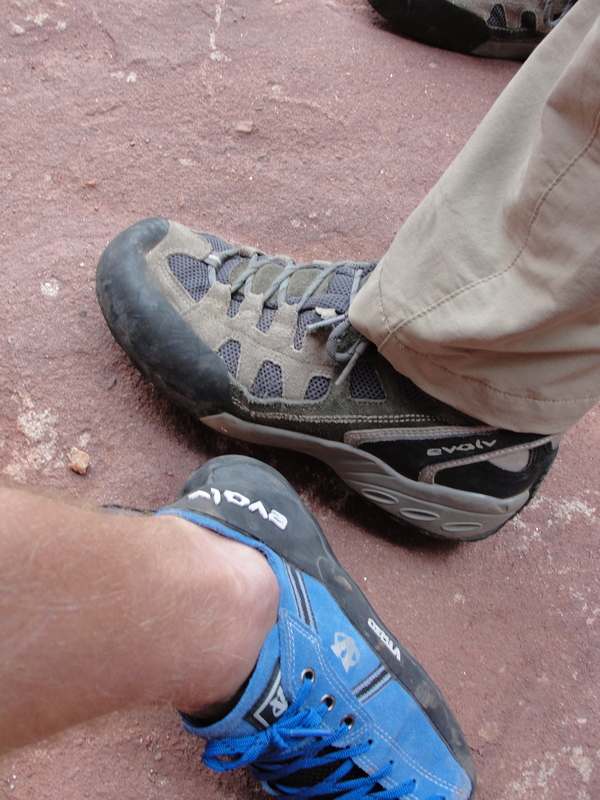 For outdoor and traditional climbers, the shoe must be comfortable enough to wear for extended periods. Beginners want to start with a tighter shoe with straps that contours their foot, while experienced climbers would prefer a lace up shoe that can be easily adjusted for comfort. 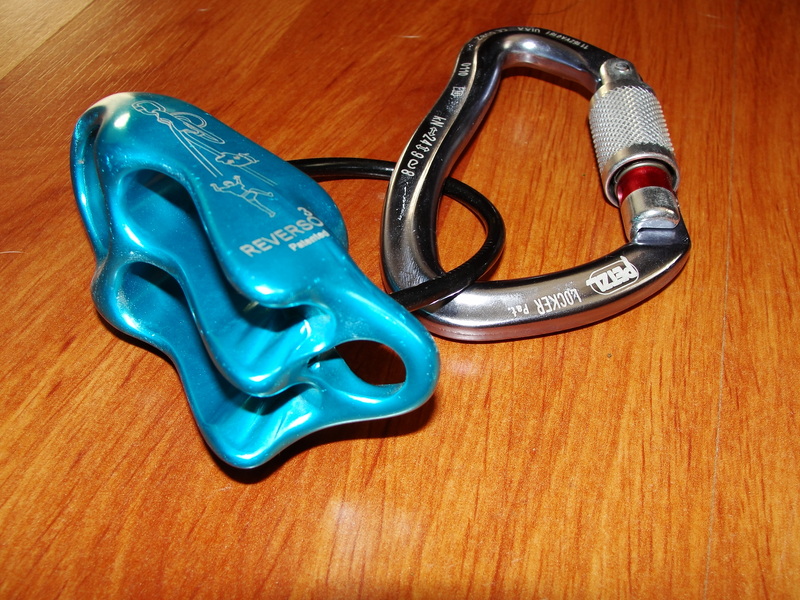 A belay device acts as the brake and anchor to support the climber’s rope as they ascend, and ensures the climber’s safe lowering on the descent. 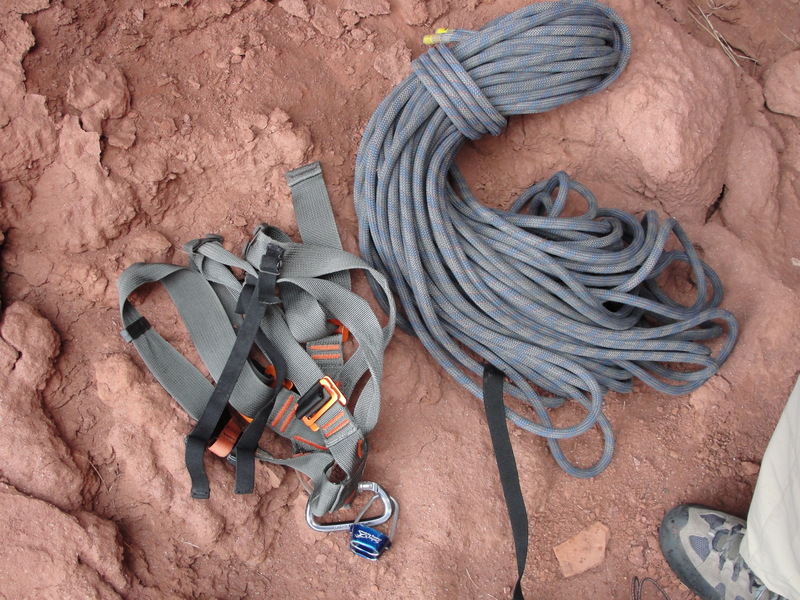 Beginning climbers want to look for a tubular belay device. The tubular device has two loops that can support double ropes, and relies on the weight and position of the belayer’s hand to put friction on the rope and act as the brake. Tubular devices can be easily unhooked to switch climbers, and are useful for belaying as well as rappelling. When purchasing climbing rope, it’s essential to purchase dynamic rope. Dynamic rope can easily stretch and contort to the climbers weight in the event that they fall. Static rope is dense and inflexible and is typically used for hauling cargo. A good rope should be about 11 mm in diameter and should be purchased at a minimum of 60 meters, giving enough support to the climber on a long pitch, and having room for any slack the climber may require. Support equipment includes such items as helmets and chalk. 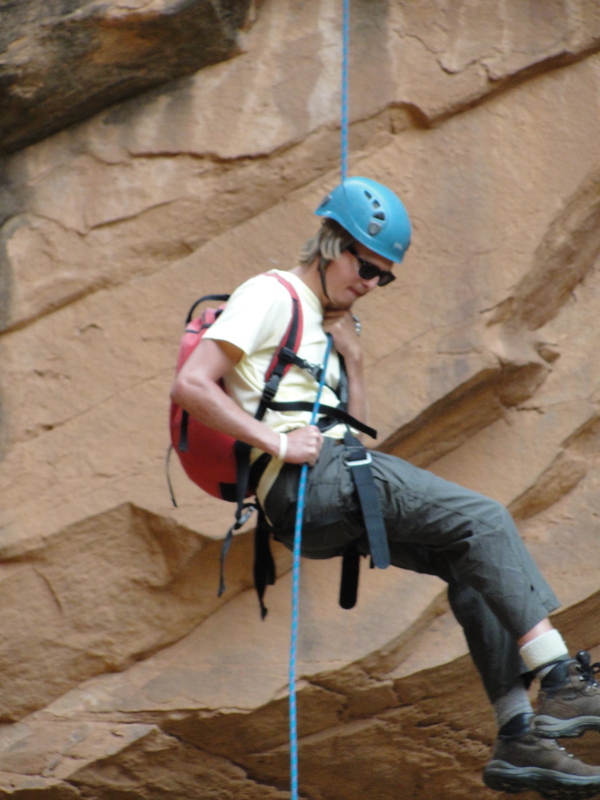 Helmets are not required in an indoor setting, yet are essential outdoors to protect the climber from falling debris or equipment. Ideal helmets are constructed of lightweight foam, fit snugly on the head while leaving space for any additional cold weather headgear, and should be comfortable around the chin but not constricting. Chalk balls, powdered chalk in an easy bag are ideal for in-door climbing, while loose chalk is better for outdoor cracks. It’s important to get chalk the same color as the rock to minimize the visual marks on the surface. Having gear suited towards your needs will ensure a happier and more comfortable climb. Knowing what equipment to get will save you from purchasing unnecessary components both saving money, and reducing weight. Consult an experienced climber to help you choose the equipment that is best for you. Soundoff: What gear are you climbing in?